This LP has 72 parts. Hello, folks, I'm Grimwit. This is Anchorhead. 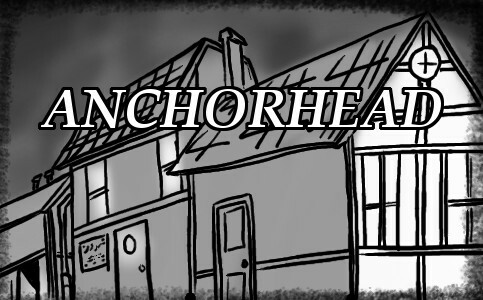 Anchorhead is a 1998 IF(Interactive Fiction) by Michael S. Gentry based on the workds of H.P. Lovecraft. It has won awards and is/was remarkable for its story, length, and lack of type-os. The general plot follows a woman and her husband inheriting a house in the titular town of Anchorhead and the terror they uncover within. Anchorhead is also big. In '86, Zork I stands about 96-98 kb (that's Kilobytes for you millenials), where Anchorhead, like a bloated toad, is a stout 508 kb, over 5 times the size. The town stretches open, allowing you to reach most of the settings before needing, some of the puzzles have multiple solutions, and there are a lot of hidden details and ambient touches. Simple things you take for granted, like getting wet when you close your umbrella or the buzzing of flies somewhere nearby. Because of the size, Anchorhead will be a long term game. I'm not certain how many months it will take to finish. Could be one. Could be three. This is sort of a me-thing. I need a routine to keep me drawing. A project, as it were, that I can do daily. I love doing Let's Plays, but I also love drawing, so I figured I would mix them like peanut butter and a rhesus monkey (Mmmm... Rhesus Peanutbutter Monkey). It'll give me something to kick start my morning before I begin working on my other comic project. This is something of an experiment for me and I'm interested how the LP plays out. For each update, I'll be drawing what's going on and keep track of our inventory. Just thinking of it as up'ing my CYOA game, for now. Sounds fishy. What's the plan? I'll update, beginning with a drawing of what's happening. The Game will be in Bold, my own remarks will be in regular text. With in reason, I'll examine everying in game to keep everyone informed of our options. At the end of each update, you goons will suggest where we go and what we do. In cases where you seem to be frustrated, I'll step in and do the correct action to advance play. Updates will be daily morning, my schedule permitting. Alright, that's enough introduction. Let's get started.